After almost a week in Las Vegas attending the PMDA 2016 Awards ceremony and CES 2016, I noticed a new dynamic enveloping the imaging industry. We’re coming apart. I’ll start by saying that this is not an obituary of the imaging industry. Far from it. But the world has changed, and either we do something about it or the industry as an entity might just fade into oblivion. Then came the secession from the union. Over the years companies like Olympus and Fujifilm moved off the show floor and set up meeting rooms on the sidelines. Sigma left the building. Kodak is a mere shadow of its former self. Accessory providers like Lexar and SanDisk are buried in backroom offices. And even those still engaged with CES have moved on from imaging. For example, you’d have to look far and wide to find a camera in the Samsung booth. Alas, the news is not all bad. 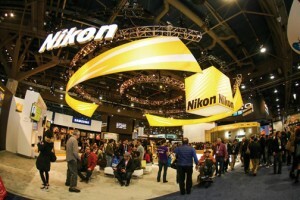 I had a hard time squeezing into the Nikon booth at CES, which seemed packed from dawn till dusk. Same for Canon and GoPro. Ricoh had a constant flux of energy outside and under their dome, and Sony had their impressive display of cameras and lenses right in the front of their booth. Panasonic showcased the world’s greatest female athlete around their Lumix cameras. Good for all of them, and good for the industry. That all being said, this year there was a narrow band of imaging companies at CES, and for the most part they were drowned out (or should I say droned out) by the enormity of the consumer electronics industry. When I spoke to the few dealers I saw on the show floor, they talked about the expense of coming to Las Vegas for a few short conversations with people they otherwise can see on their home turf. Now the good news. The PMDA 2016 Awards event, Imaging Night, demonstrated that our industry is alive and vital. The crowd was substantial (though down from years past), and the presentations showcased the strength and conviction we can show as an industry when we come together. No one will soon forget the imagery of John H. White and Chris Burkard—and the stories behind their incredible photography. The theme of the evening, “giving back,” was roundly applauded and greatly appreciated. It’s what our industry can do when we work together. So what now? Another photo trade show? A resurgence of the old PMA show? No, that’s far from the answer. In some ways, the trade show model for our industry has moved on. Our strength has been sapped by technological alternatives to cameras. Smartphones have all but killed the point-and-shoot business and thus the overall breadth of our offerings. However, companies like Nikon, Canon and Sony continue to push the envelope. The surge of drone photography and 360º spherical cameras and VR technology are pushing us into new dimensions—exactly where the market seems to be going. Of course, the surge of mirrorless camera technology, full-frame offerings, 4K video and professional products continue to be our core strengths. That’s who we will always be, and the leaps forward that manufacturers are developing continue to defy the odds. Our industry has never failed to respond. It’s easy to look back and reminisce about the “good, old days.” But it’s always best to look forward. We are not just about cameras and (obviously) film anymore. That train has long left the station. But we can certainly grow our influence by showcasing our greatest assets. Nikon and Canon had their hearts in the right place with a constant stream of photographers gracing their booths. Sony’s Artisans and Panasonic’s Lumix Luminaries continue to make their mark in the industry with their enormous talents. Our roots are based in amazing images that tell stories and define history. Let’s not lose sight of this, because only we as an industry can deliver on what makes us great. We need to continue to move people to printing their memories. There are so many opportunities to print from smartphones now, from which most of today’s pictures are being taken. It’s not blasphemy. It’s part of our business. Even the great camera companies need to step up and encourage printing the great images that result from incredible camera technology. Nikon’s new SnapBridge platform is a simple example of moving people to print. Others like Canon are using their broadcast advertising to encourage preserving memories. 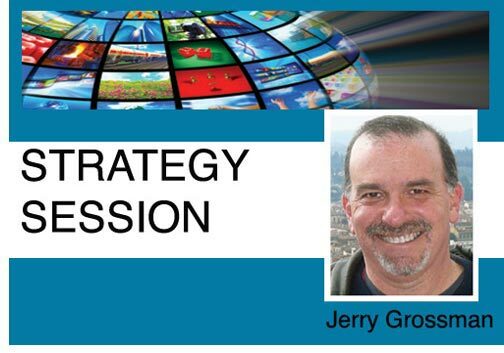 Keep printing front and center in your marketing plan. It’s really the reason we exist. Let’s embrace our future. Drones are either a “flash in the pan” or a great leap upward. Over 180,000 people have already registered their drones, and the number is expected to hit 700,000 this year, so let’s tune into this phenomenon. It’s the same with Virtual Reality and 360º imaging. And, as new technologies come down the pike, we should be keeping pace. The term “digital imaging” can be as broad or defined as you make it. The realm of 360º cameras may hold the greatest opportunities for expanding your business: think real estate, commercial applications, schools, museums, restaurants and concert halls. Virtually any business can market itself by showcasing their locations with 360º imaging on the web. Finally, let’s continue to gather as an industry. WPPI, Imaging USA and PhotoPlus Expo are just a few of the opportunities to put our best foot forward to the public. PMDA, CTA’s Digital Imaging board and the “new” PMA are organizations that all have the same objectives in mind—to strengthen our industry by working together. Networking is almost a lost art, but forming new relationships and creative partnerships has always been the foundation for fresh, groundbreaking ideas. Let’s not abandon CES. It’s still an amazing show, and we need to be in the center of the new technologies that drive the next generation of consumers. If you missed it this year, or if your company failed to see the ROI, talk to those who made the investment and saw the potential of 100,000 industry executives and geeks experiencing their brands and products. If anything, CES is a great learning experience and a way to feel the pulse of what’s hot and what’s on the way. And, the chance to network with old friends and find new opportunities is certainly worth the time and expense. That may be more valuable than anything else.